COLUMBUS, Ohio—Whether you think of cleaning your hairbrush as a matter of style or hygiene, it is probably not something you like to do. Maybe you meticulously extract every bit of hair, oil, skin cells and styling product that gets lodged in the bristles. Or maybe, as researchers at The Ohio State University have learned, you just toss your dirty hairbrush in the trash and buy a new one. And that makes cleaning your hairbrush a sustainability issue. 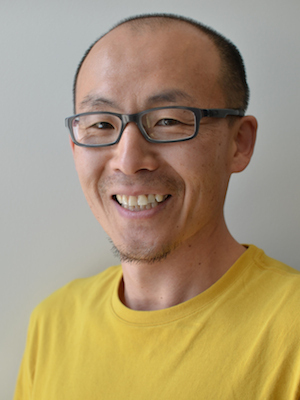 Scott Shim, associate professor of design at Ohio State, is working to make everyday objects easier to maintain so they last longer and don’t end up in a landfill. His first such creation is an easy-to-clean hairbrush. “We don’t want people to have to throw away a perfectly good hairbrush just because it needs to be cleaned,” Shim said. His research revealed that the average lifetime of a hairbrush is six months to a year—“lifetime” meaning how long the average person is willing to put up with a dirty hairbrush before buying a new one. Shim and former graduate student Morris Koo named their design “the MAZE hairbrush” because the bristles sit on rows of curving supports that resemble paths in a maze. The rows pull apart for easy cleaning. The university is looking for licensing partners to commercialize this patented hairbrush (US 8,857,005) in the health and beauty industry—for people and for pets. Shim got inspired to pursue this project when he saw his wife cleaning her hairbrush. “I couldn’t understand why she had to do that. Obviously, this is not a problem for me,” he said with a laugh, rubbing his close-cropped hair. “Then I did some market research, and found out how often hairbrushes get thrown out—not because they’re worn out, but because they’re disgusting and people didn’t maintain them well. He added that the MAZE design simplifies manufacturing. Hairbrushes are often manufactured in several parts and then assembled, whereas the MAZE hairbrush can be created in one injection-molded piece before the bristles are added. Right now, the researchers are crafting prototypes one at a time on a 3-D printer and inserting bristles into the body by hand. The printer limits their material choice to a common plastic like ABS, which is somewhat brittle and sometimes snaps when they press the bristles in place. They’re on the lookout for strong and flexible plastics that will suit mass production, and hope to collaborate with materials scientists on the issue. So far, the brush has won two awards. It placed first in the Beauty, Personal Care and Cosmetic Products Design Category of the A' Design Awards in Italy, and won a Green Product Award from white lobster, a German agency for sustainable innovation.